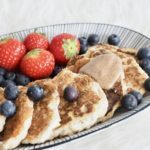 Paleo almond pancakes - health benefits of almonds - NOURISH TO PERFORM. Another Sunday passing by. I can’t believe that my blog is now online for a month! To celebrate this event, I jump on the wagon of Pancake Sunday. Sharing the recipe below, as well as some benefits almonds offer and how I prepare and store them. I always buy raw, unroasted, unprocessed almonds (nuts in general) because any processing can destroy any benefits they offer. One step that can actually increase the nutrient content of almonds is soaking and sprouting them. Soaking and sprouting almonds removes some of their naturally occurring antinutrients that block the body from absorbing some minerals. I like to soak mine overnight for 12–24 hours in a big bowl, covering them with water and a splash of apple cider vinegar and rinsing them the next morning. Afterwards, I put them in a glas jar and store them in the fridge. When it comes to almond flour, I try to buy unheated and organic almond flour. I use white and brown almond flour depending on the recipe. White almond flour tastes like marzipan and is delicious for waffles, cake and sweet stuff, while brown is better for baking bread as it has more a nutty flavor. Combine all ingredients and let sit for some minutes/Alle Zutaten verrühren und einige Minuten ruhen lassen. For fluffier pancakes beat the egg white until stiff and fold into the dough./Für luftigere Pancakes das Eiklar steif schlagen und unterheben. Heat a pan with some oil./Eine Pfanne mit Öl erhitzen. 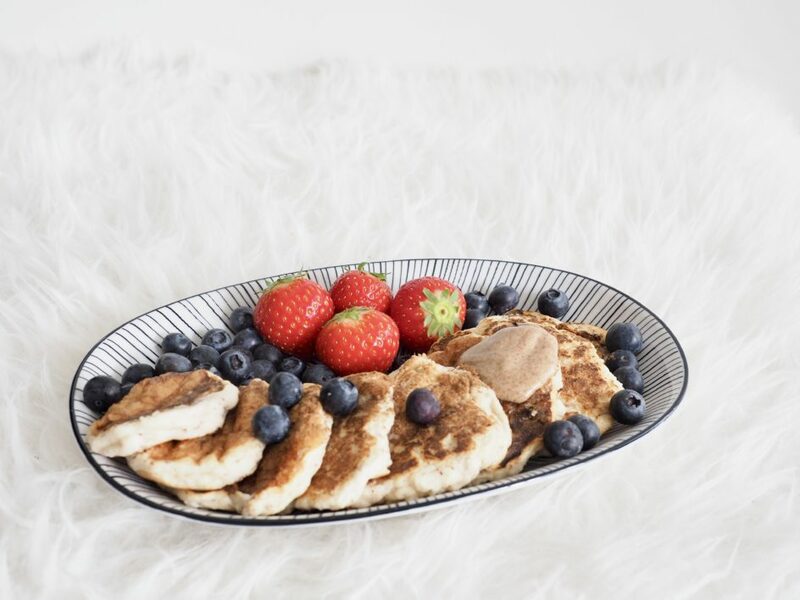 Bake small pancakes in the pan on medium heat./Kleine Pancakes bei mittlerer Hitze herausbacken.